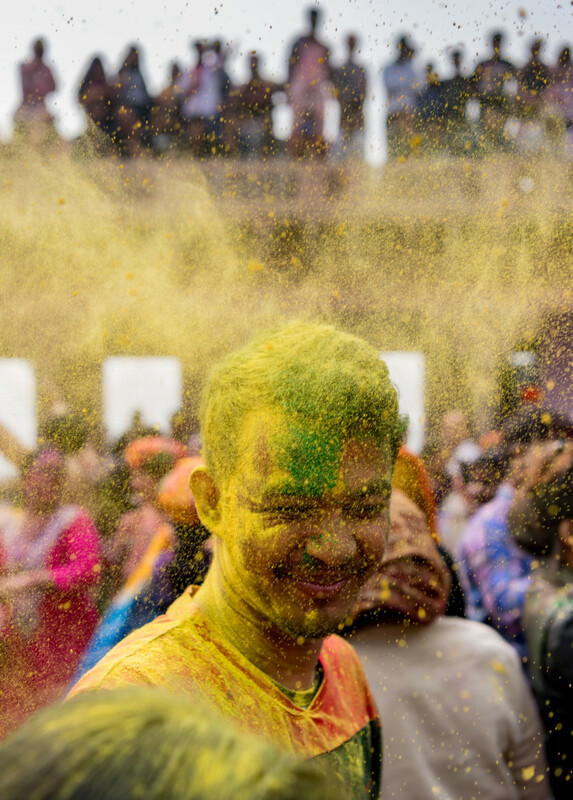 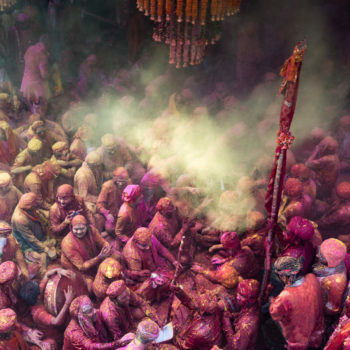 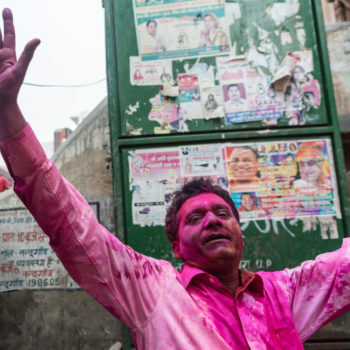 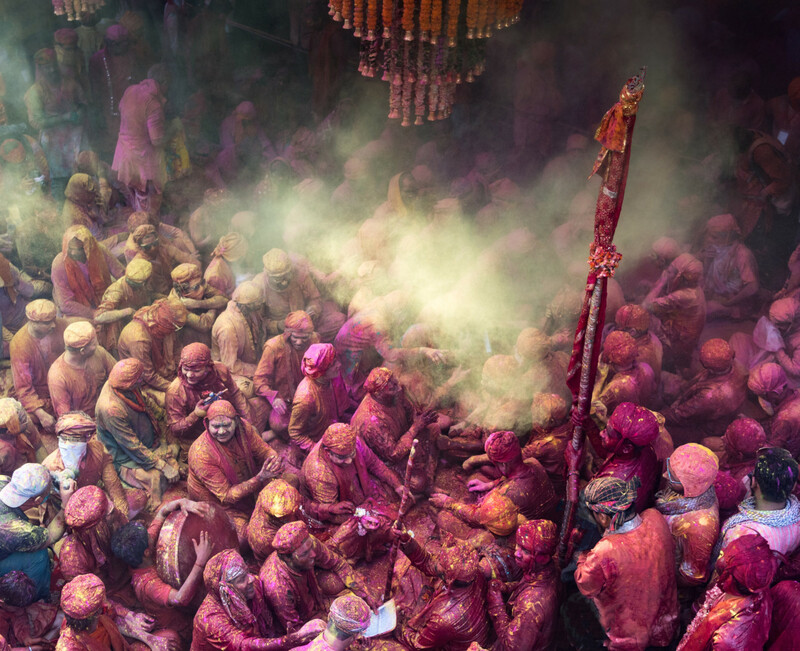 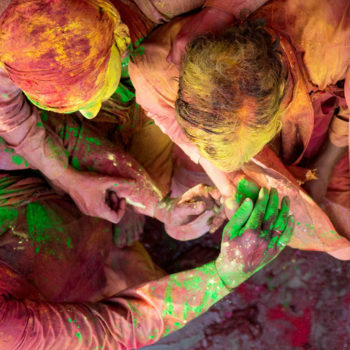 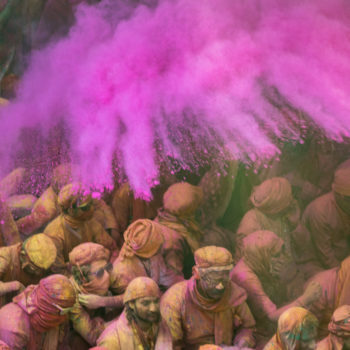 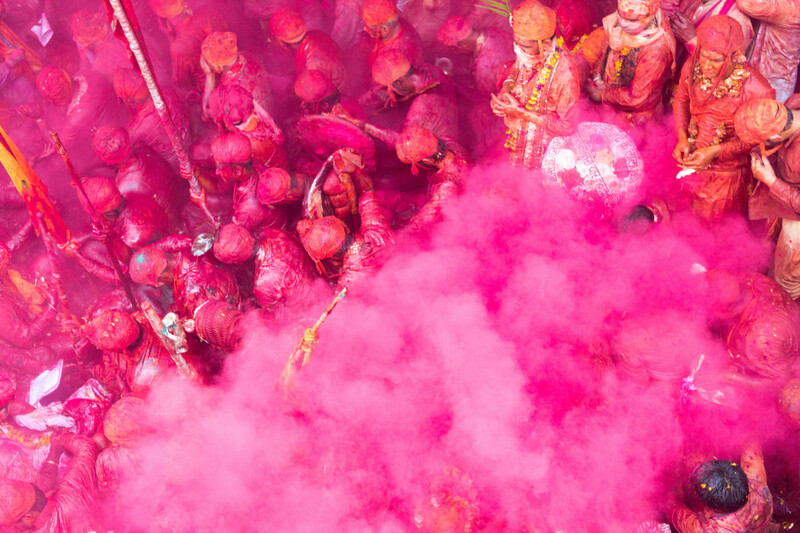 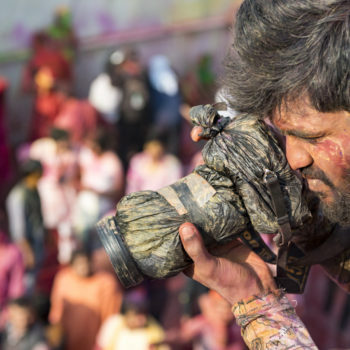 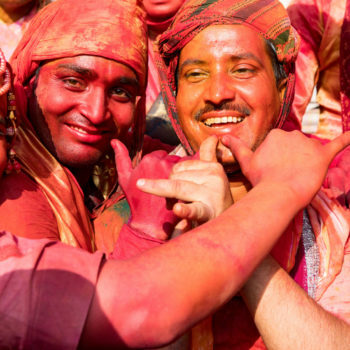 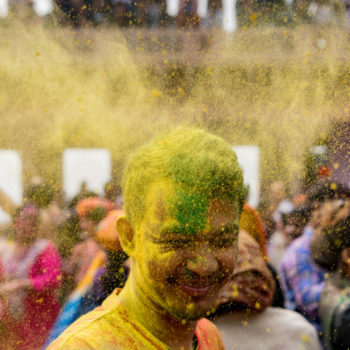 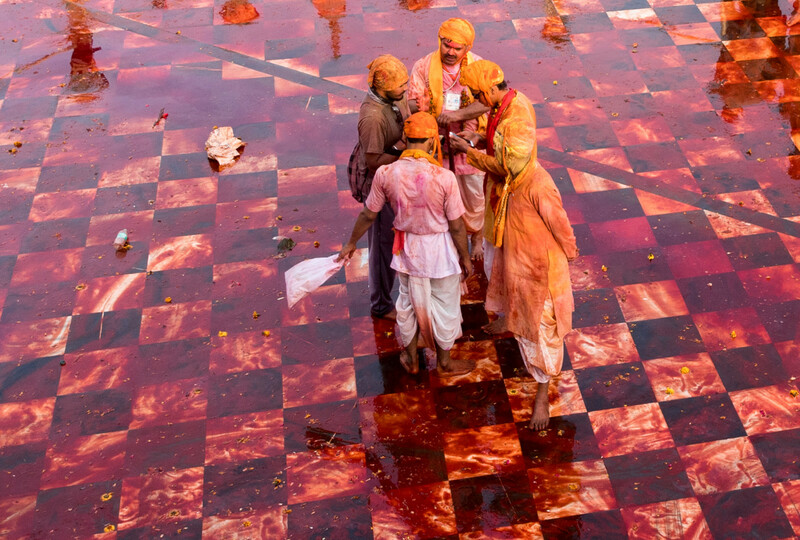 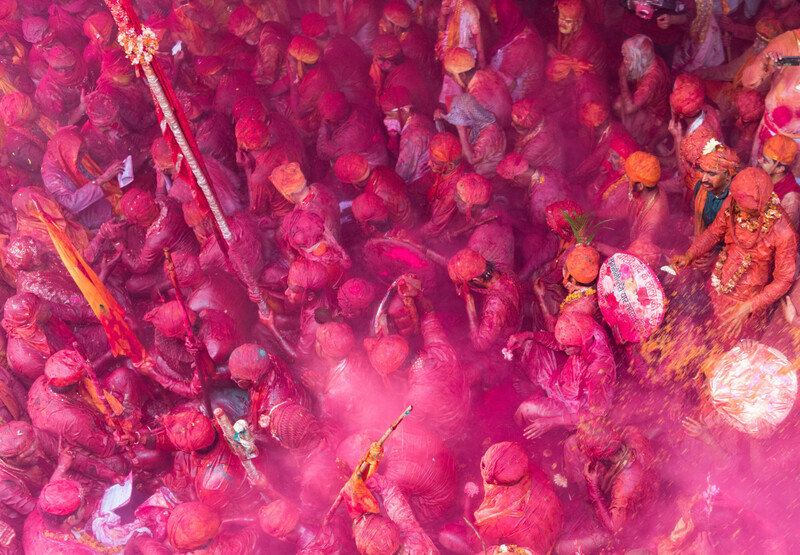 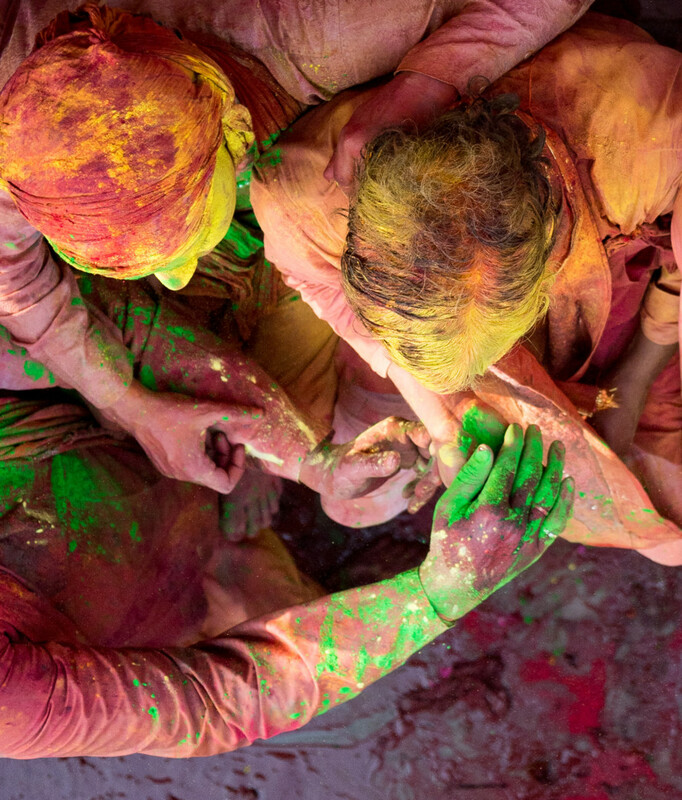 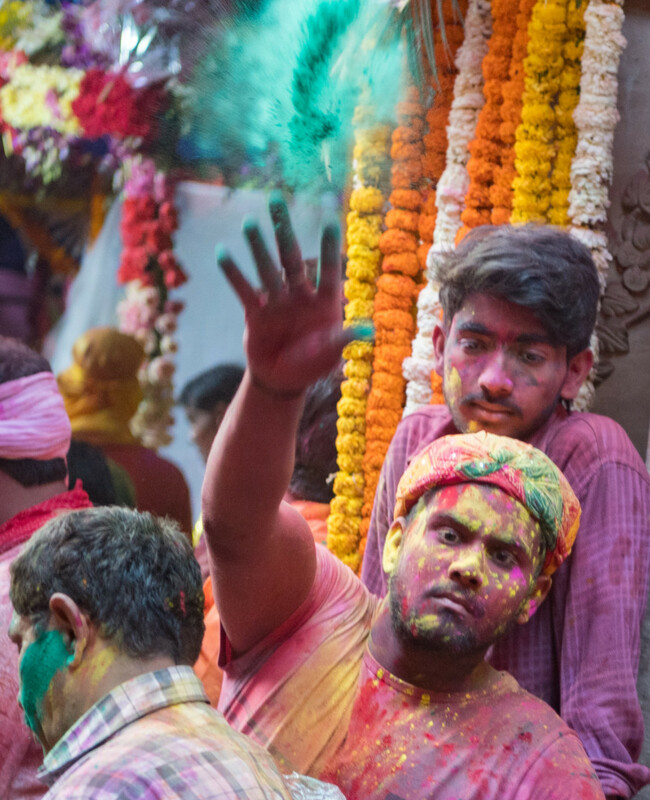 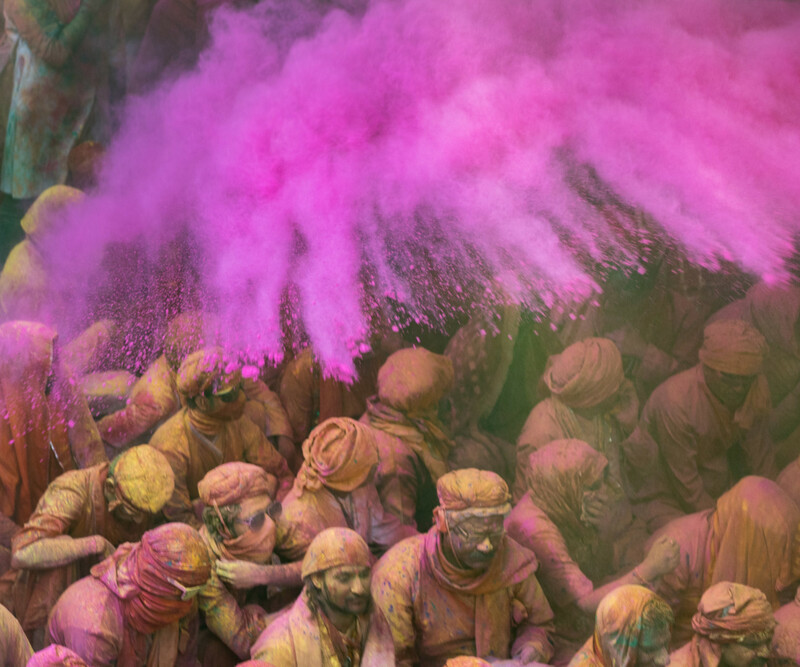 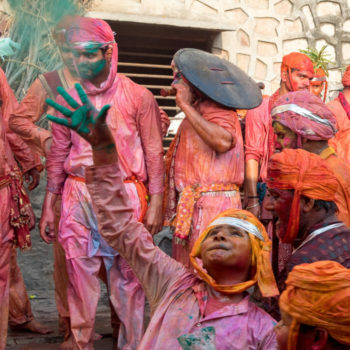 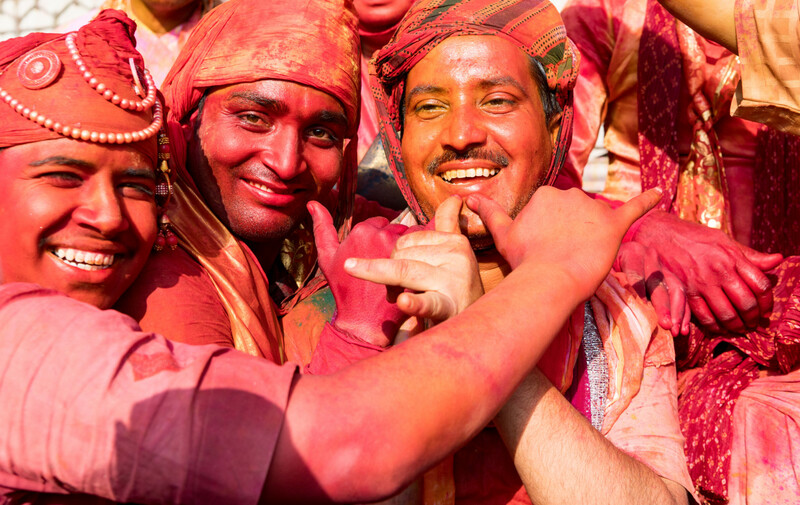 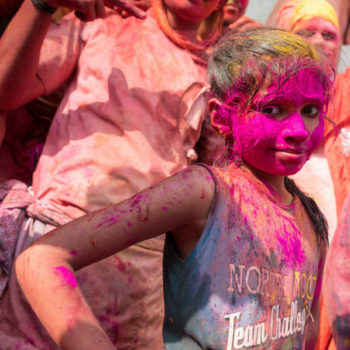 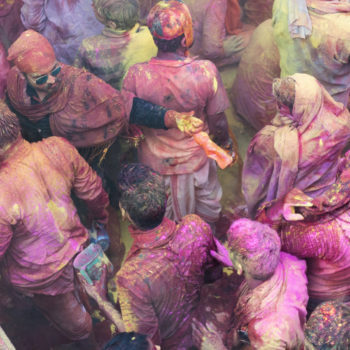 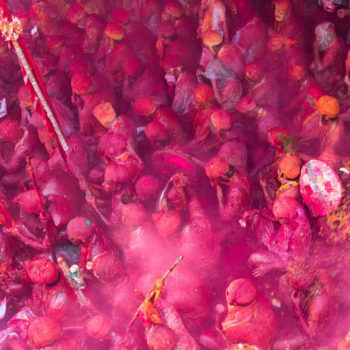 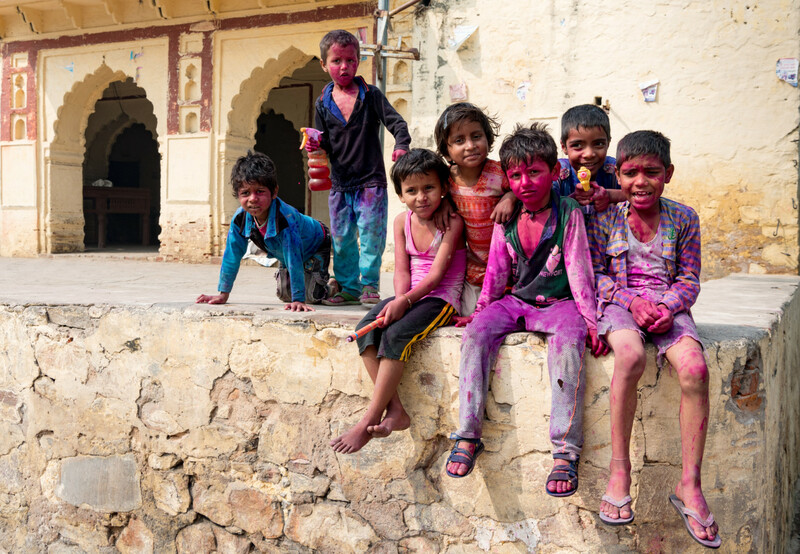 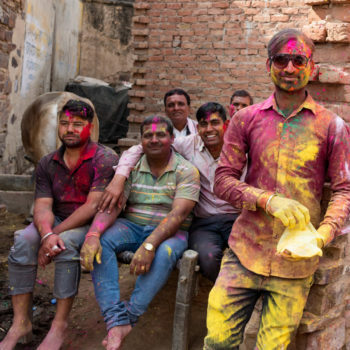 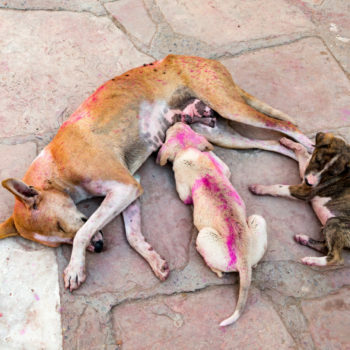 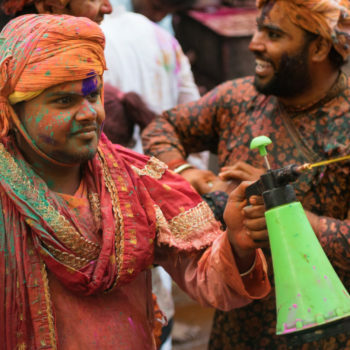 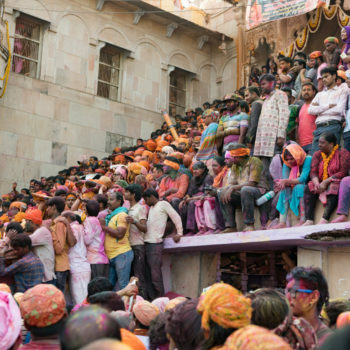 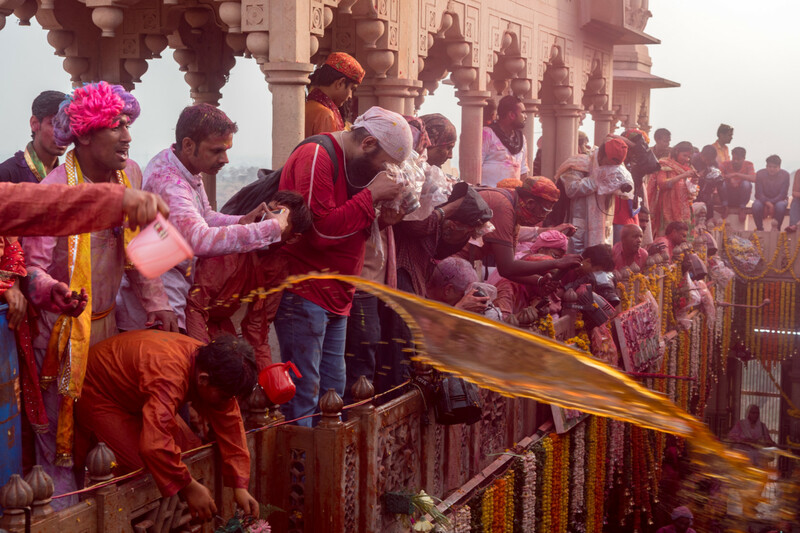 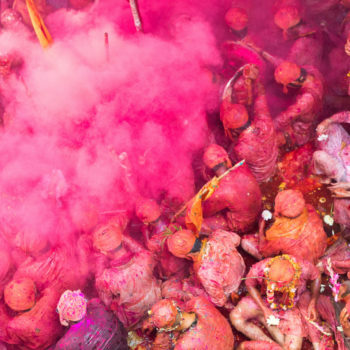 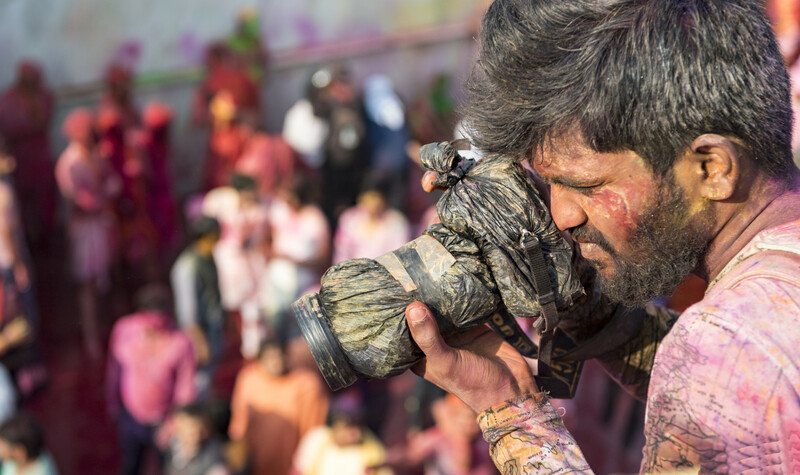 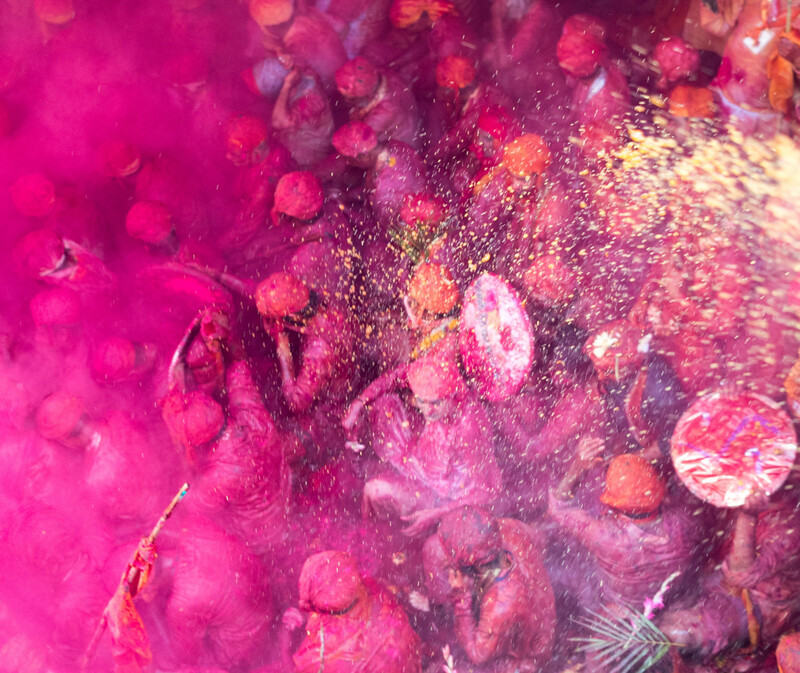 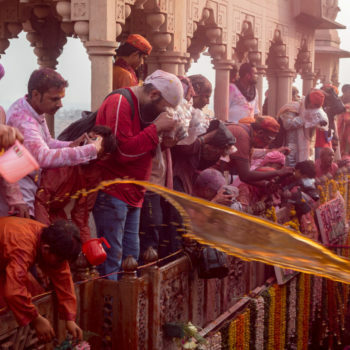 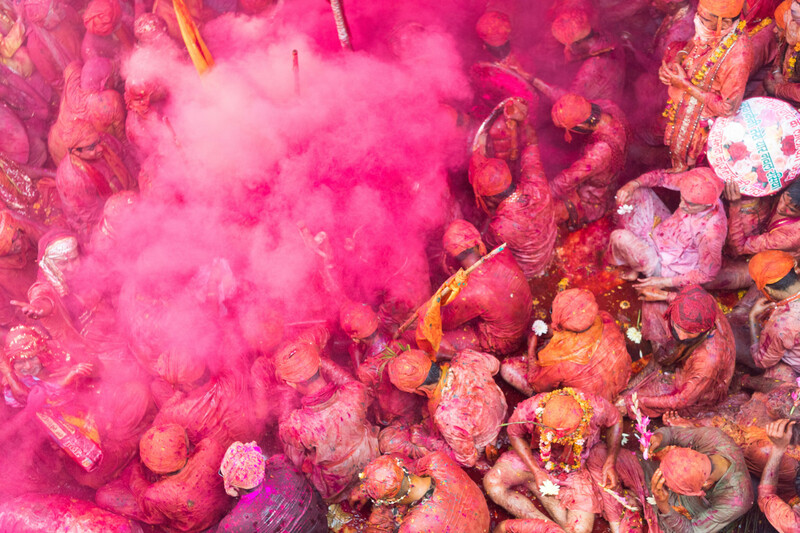 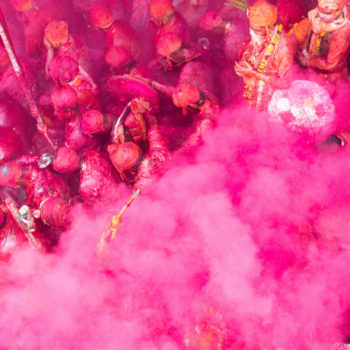 bura na mano holi Hai ! 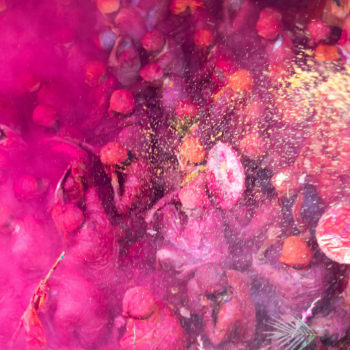 that means: do not mind, today is holi ! 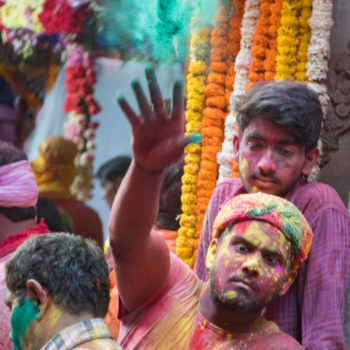 but in fact it’s just another story about krishna and lord vishnu….i am going a bit lost in indian stories about krishna, putna, ganesh…. 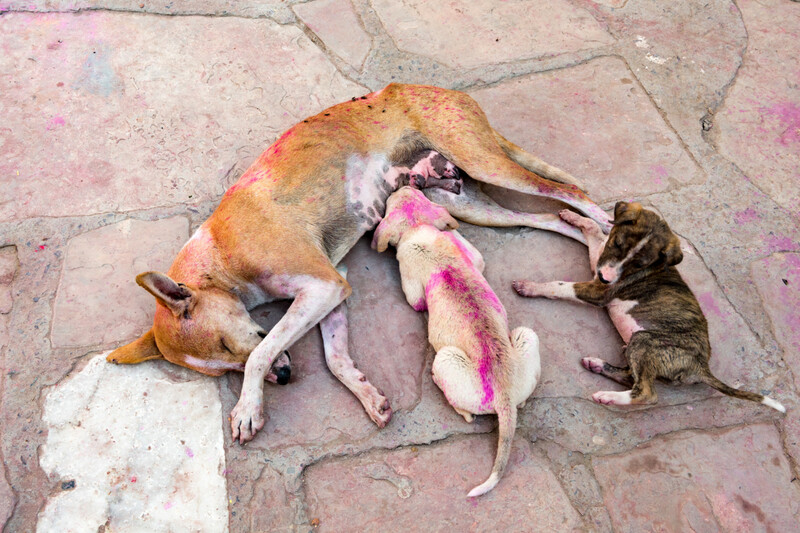 the girls are mostly locked-out with the family. 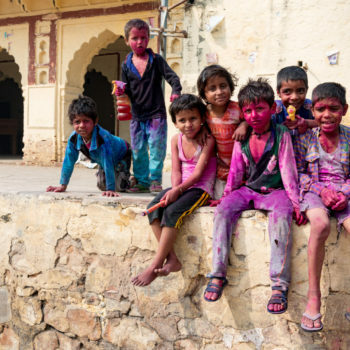 before the main word was: do not mind, today is holi, but today people drink beer, smoke some ….and so the indian girls prefer to stay save at home…. 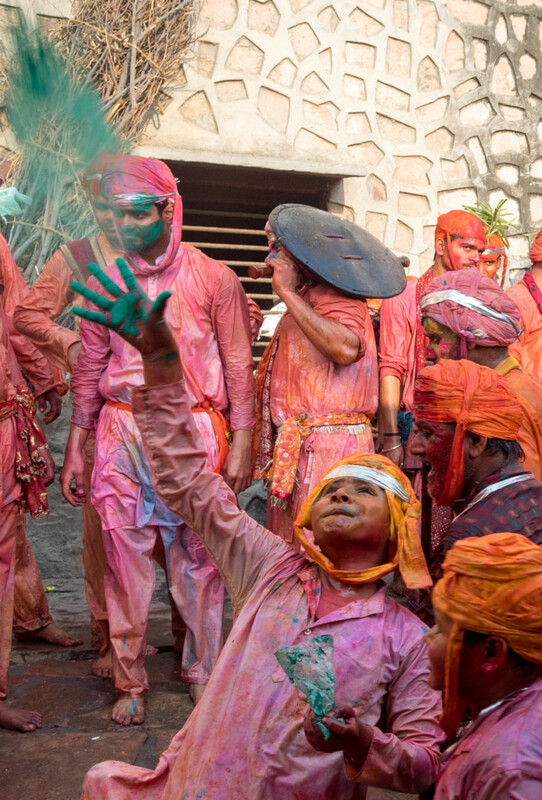 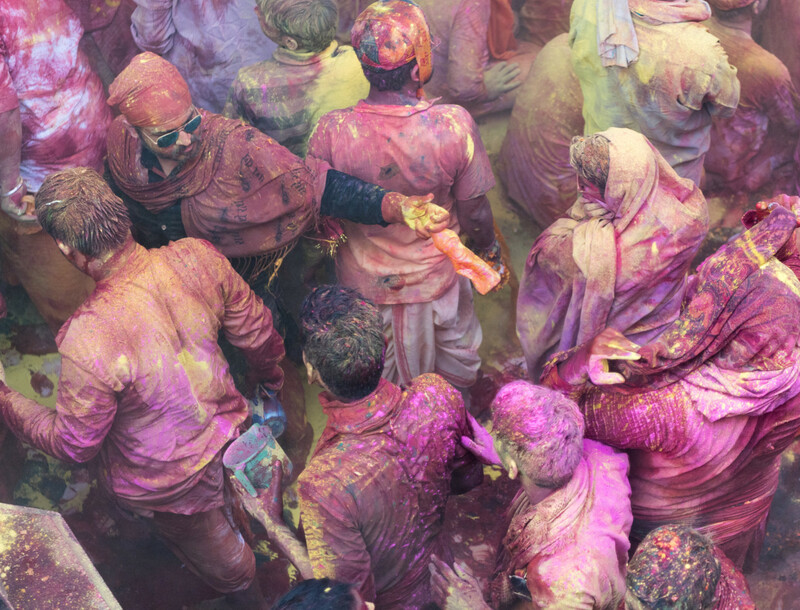 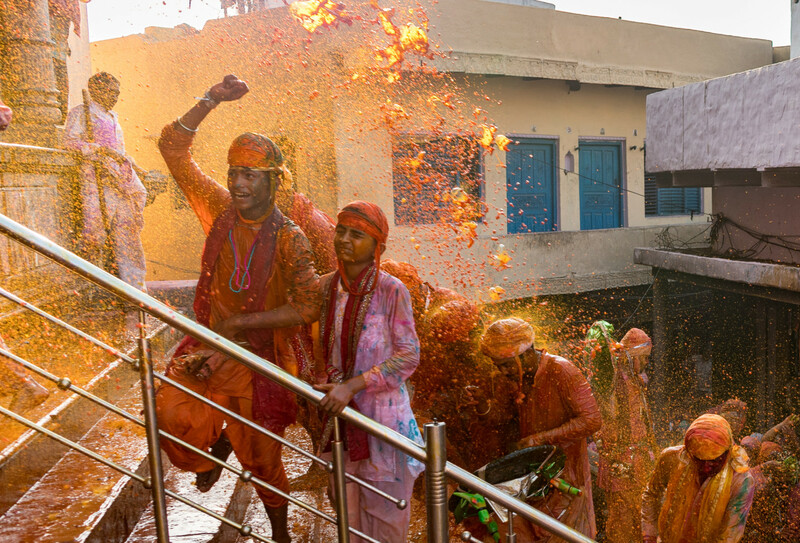 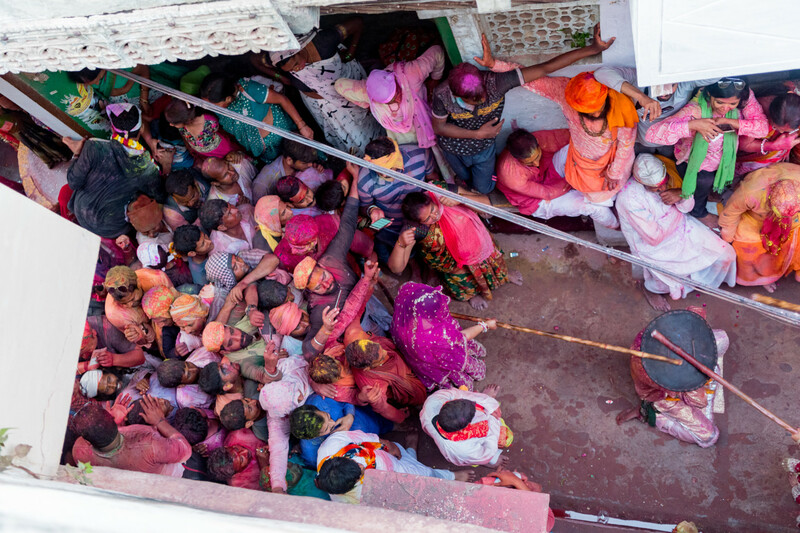 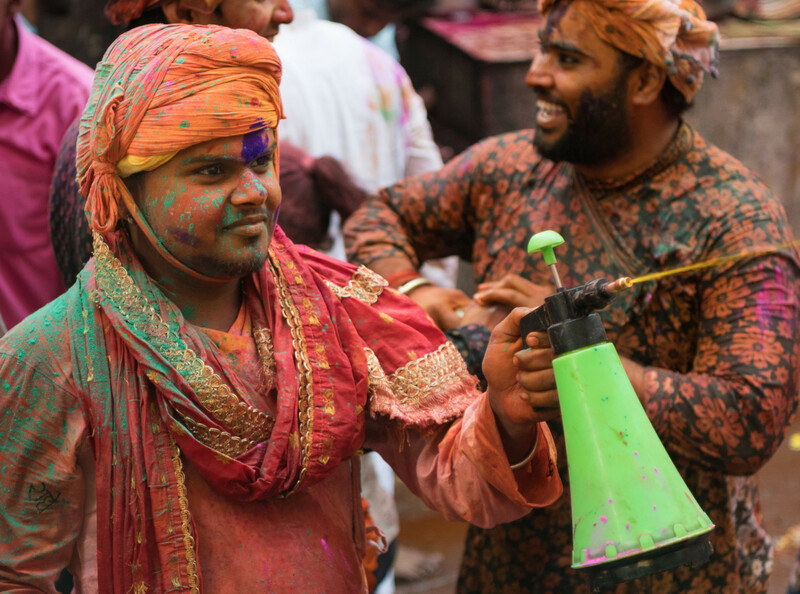 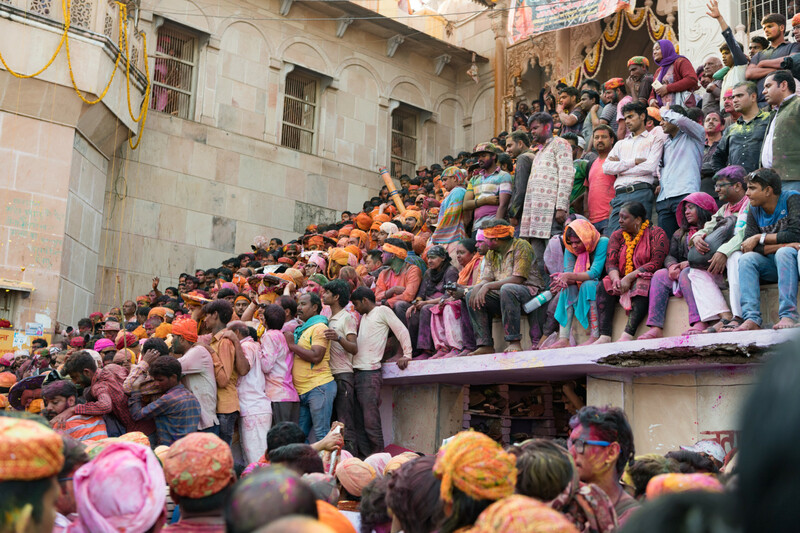 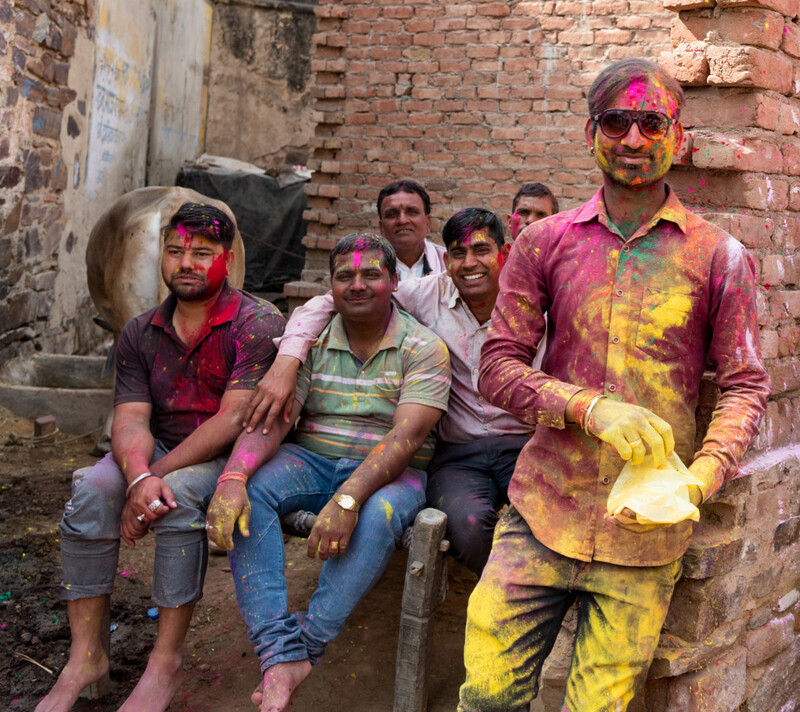 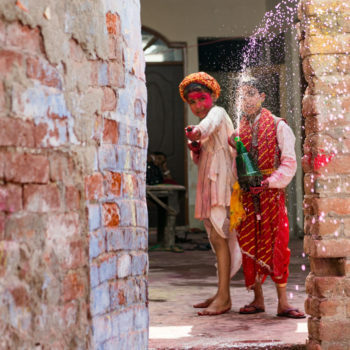 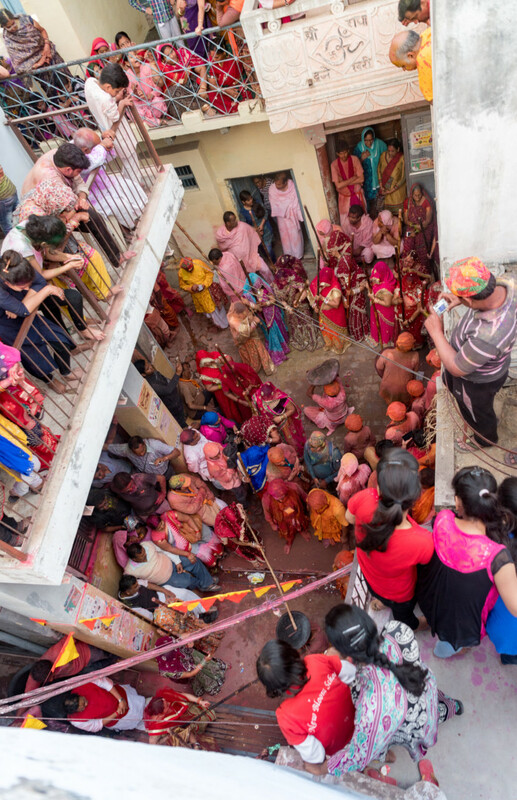 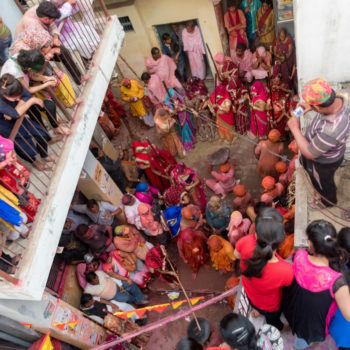 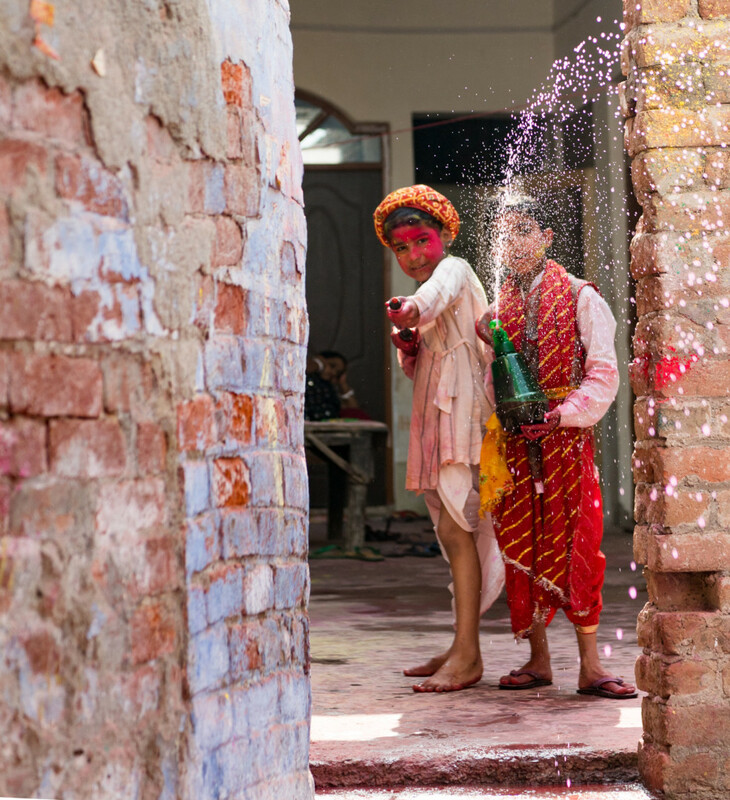 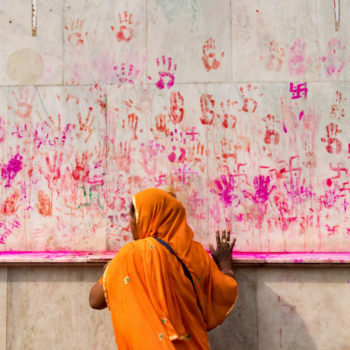 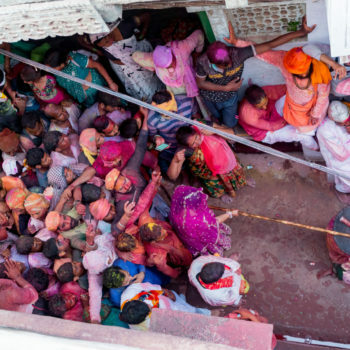 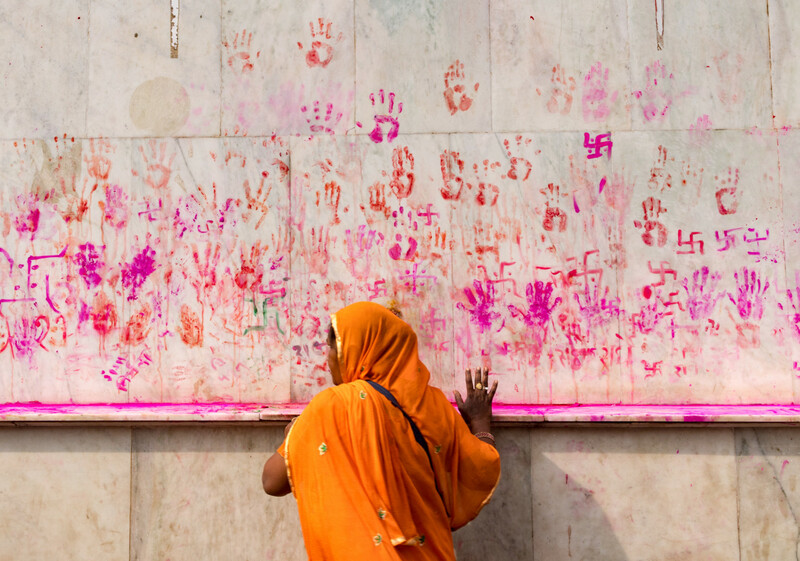 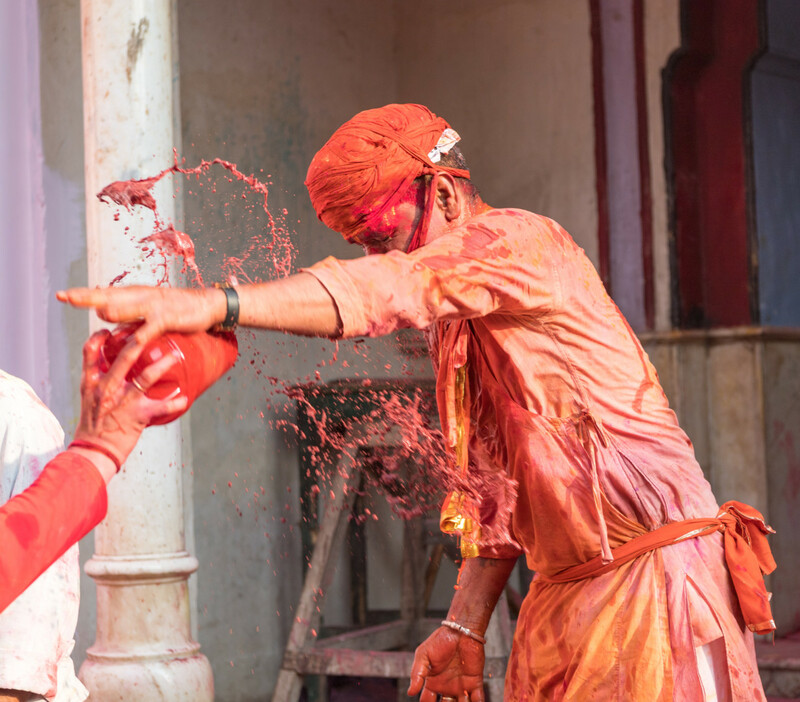 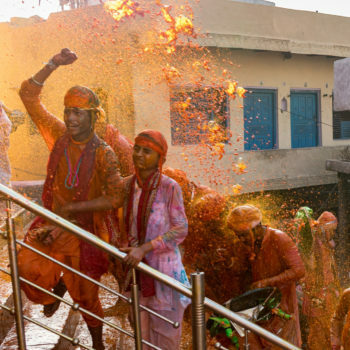 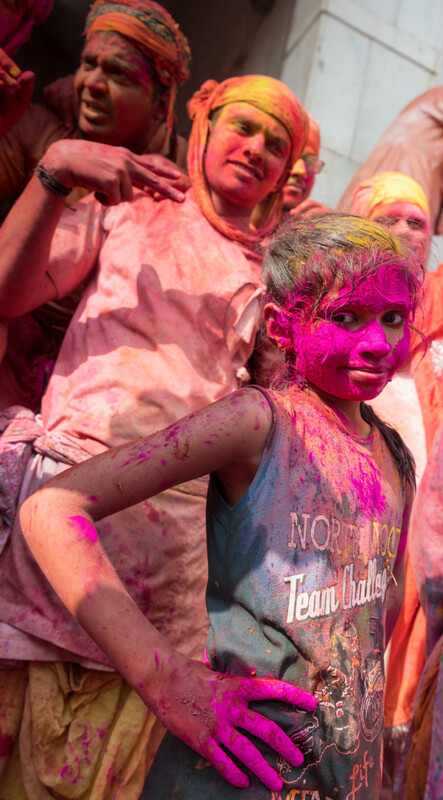 we went one hour from matura to a small village, where they had holi in a temple. 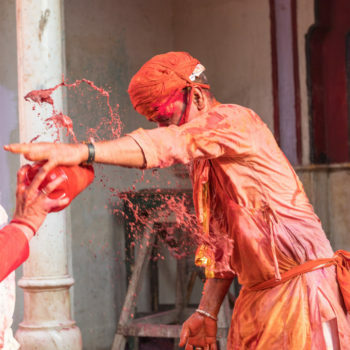 the people from a small village defended their temple and the village next came to attack by words and songs their neighbors , so it was a kind of battle with water, colors and a lot of cry, when we went inside of the temple i thought my last day arrived !! 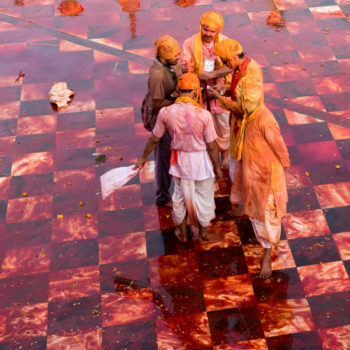 never before i have been pushed like this, in fact once i had been inside of the temple i needed twenty minutes to realize that i am still living…i don’t joke, i was happy not to fall, barfeet on the wet stone floor, this was a real moment of horror! 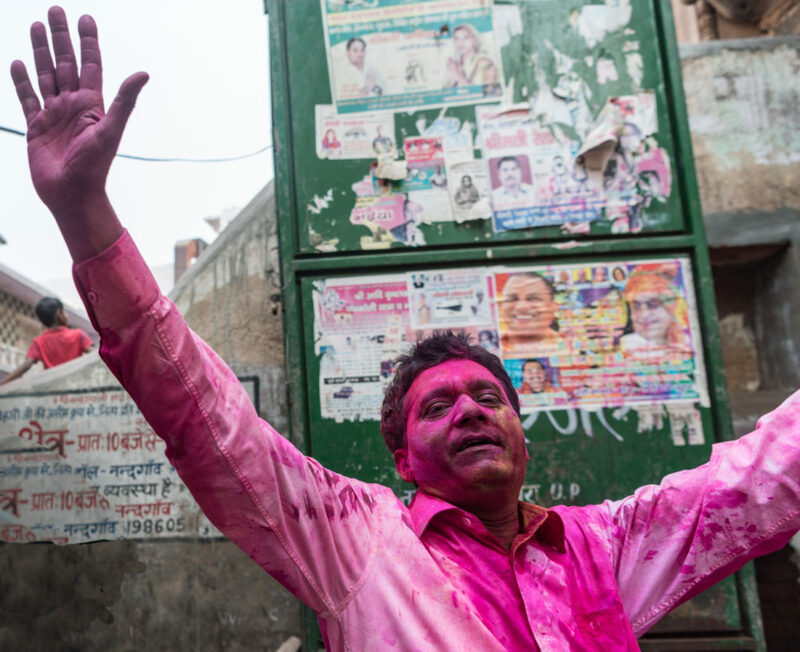 china: which way will you take?